A power move, explains experienced chess teacher Charles Hertan, is a winning master tactic that requires thinking ahead. To become one of the best chess players in your school you need to be able to think just 1,5 moves ahead, and this book teaches the four basic tricks do so. You will learn how to weed out silly moves and just consider a few important ones. Forget about learning openings and endgames, power moves will help you win in all stages of the game. 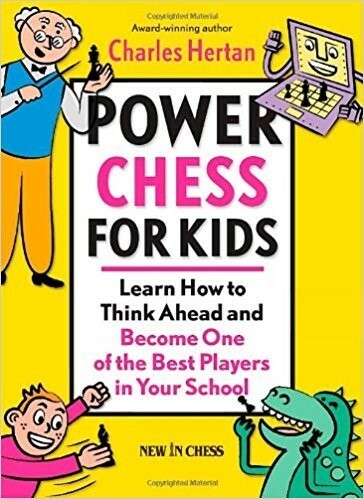 Charles Hertan introduces the four main characters who will help you to learn these basic skills: Zort (a teenaged computer from the planet Zugszwang), the Dinosaurs, Power Chess Kid and the Chess Professor. The most complete and fun kids book ever on learning how to win games!